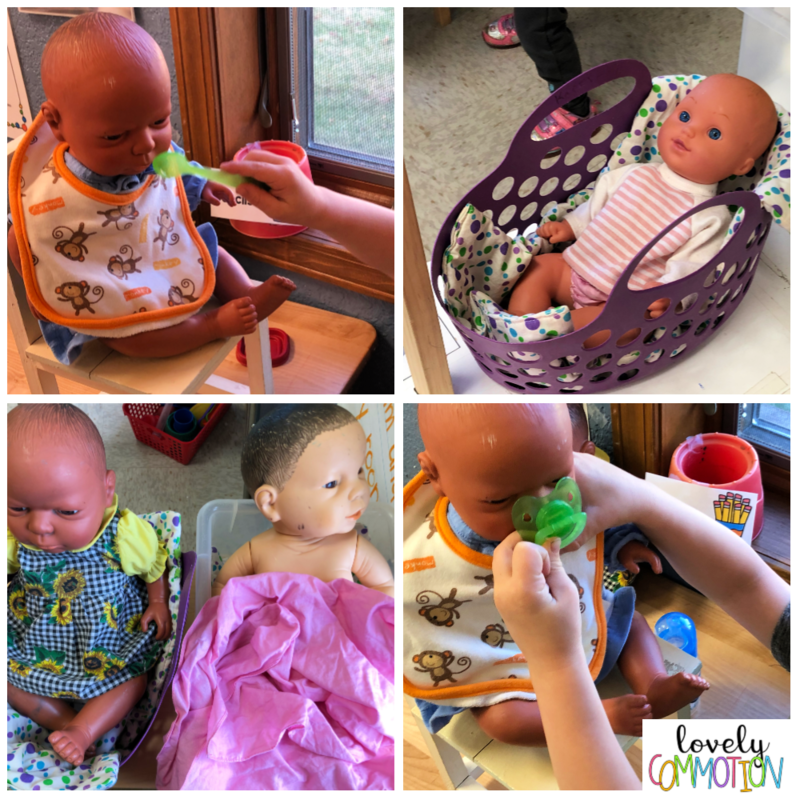 In my classroom this year, I have lots of students who love to play with baby dolls. I wanted to enhance that love by creating a pretend play area where students could be little caregivers! 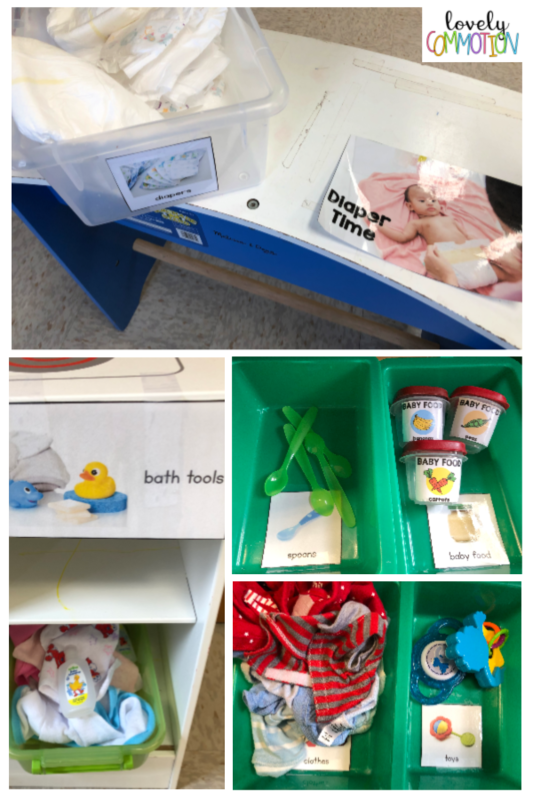 I already knew that I had students that would love this area, but I was surprised at some of the students who fell in love with caring for babies! Mu students that love rough and tumble play, also found caring for baby dolls engaging. Through play children imitate behaviors that they see. So, it was no surprise that children with younger siblings jumped right in and knew what to do. These students became peer models to those who weren’t quite sure what to do with a diaper! When preparing this center, my goals were to help students practice compassion and selflessness. To learn to care for another in a gentle way. Based on my observations - this is exactly what this Baby Care Center is producing! Looking to create your own Baby Care Center?